The Tourniquet NOW!™ Pouch is the perfect balance between speed and protection, in a platform that allows you to add a tourniquet for your everyday carry. The TQ Pouch gives you superior protection yet quick access to your CAT or other similarly sized tourniquets. In line with our other medical equipment, such as the Trauma Kit NOW!™ and the Micro TKN™ – the Tourniquet NOW!™ Pouch can be accessed with one hand (or even a single finger) - simply pull the tab down and remove the tourniquet. Previously, you had to decide between over-built flapped or zippered pouches, hard ‘open top’ pouches, or having your tourniquet exposed with rubber bands. The first option can become too complicated or time consuming, searching for a zipper pull. – time that cannot be afforded when seconds is the difference in survival. Exposed tourniquets will experience faster degradation from UV rays, water, sand and debris. There are two mounting options available - a belt mounted version for everyday carry or duty belts and a MOLLE mounted version. The Tourniquet NOW! 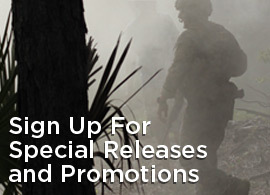 Pouch starts with the Helium Whisper® MOLLE attachment system made of ULTRAcomp® - a battle proven, high performance laminate. This creates a small and light yet secure MOLLE attachment for the Pouch on any MOLLE warbelt, plate carrier, pack, or any other platform. The tourniquet fits inside an elastic keeper attached to the lid that is then folded up and secured on the top with a hook and loop field. Lastly a BLIP – or Ball Loaded Index Point makes for the perfect ‘pull’ with gloved, wet, or bloody hands. The Belt Mounted Tourniquet NOW! 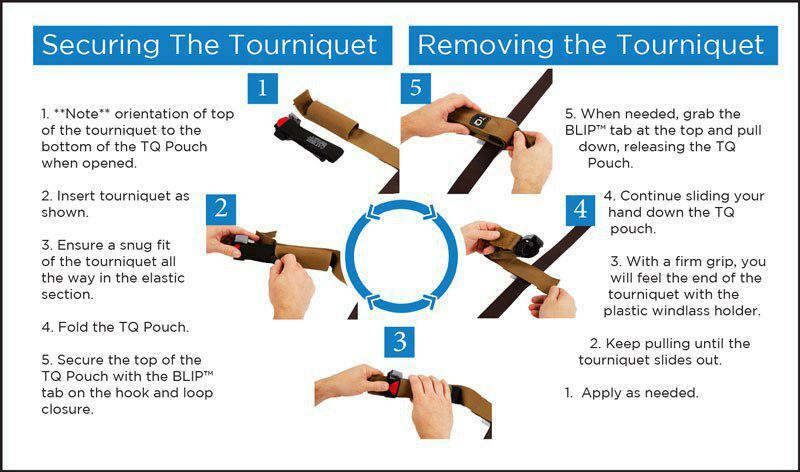 Pouch allows you to carry a tourniquet on your belt – easily the most effective life saving device. Whether a trip to the mall, the office, or through the woods – a tourniquet should always be with you. The Pouch fits on any pants belt or duty belts up to 2” wide. The Tourniquet NOW! Pouch was designed around the CAT tourniquet but can fit the SOF, RATS, TK4, SWAT-T, or other similar sized tourniquets with some unpackaging and rearranging.